When DinoBoy said he wanted to write a note to Santa Claus, I was thinking he will be writing down a list of things he wants Santa to bring to him. 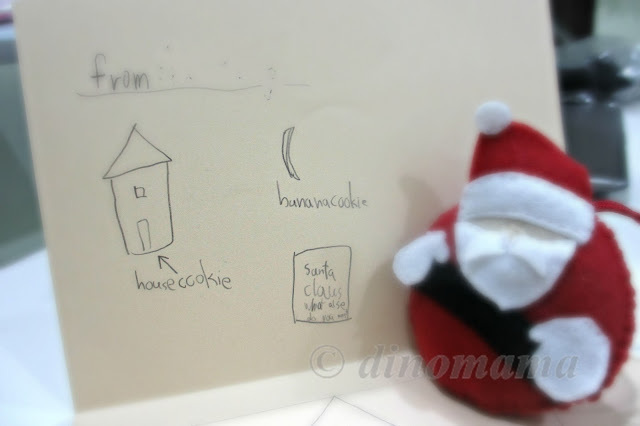 Instead, he made this card for Santa. "Santa Claus what else do you want?" DinoBoy wrote. I agree on that. 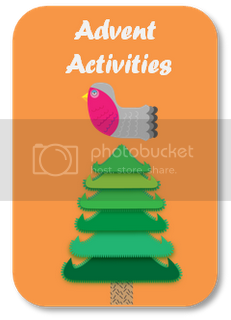 He was more concern that Santa have no cookies to eat then about getting presents from him. He tell me (and reminded me numerous time) that we MUST leave cookies and milk for Santa. 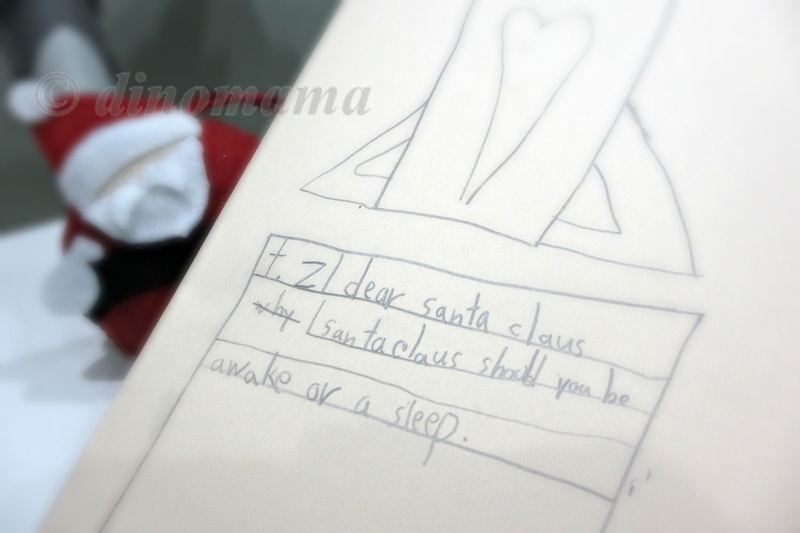 I've got no idea why he asked Santa if he should be awake or asleep. Aww, DinoBoy is so thoughtful and sweet!